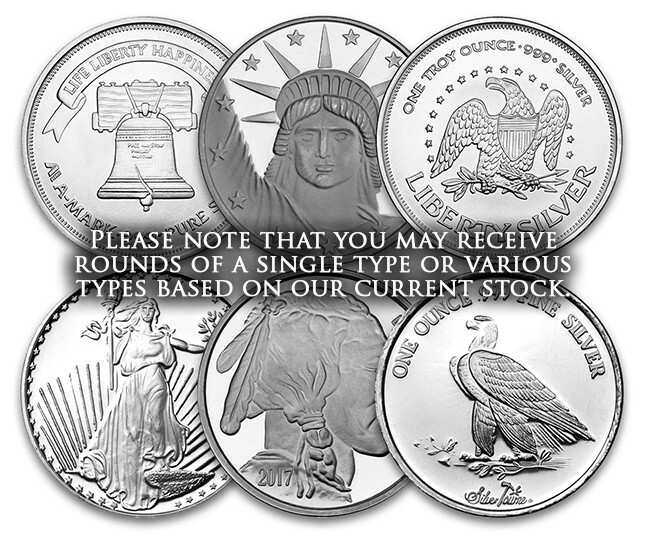 If you are looking for 1 oz of silver at the best possible price, then secondary market silver rounds are for you! Secondary market rounds may exhibit scratches, toning, spotting, and other signs of wear. Designs and manufacturers may vary, but each and every round is guaranteed to be one ounce and at least .999 pure. 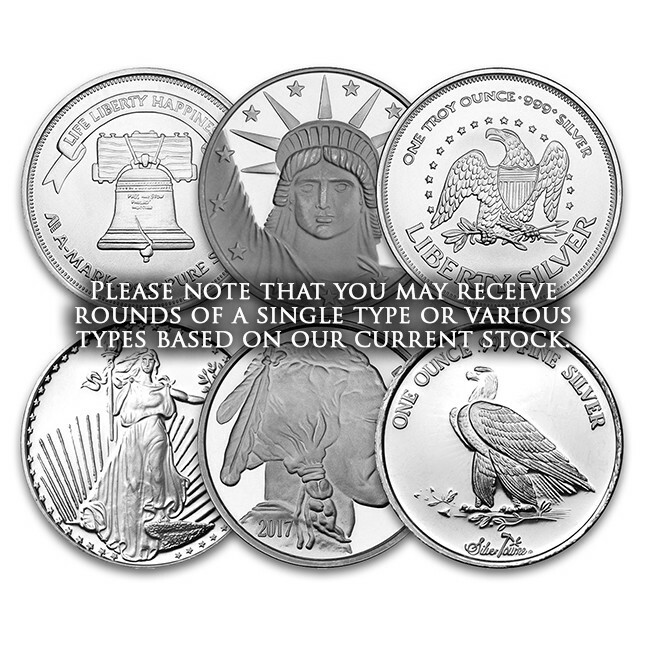 This is one of the most cost-effective ways of owning privately minted silver -- and the lowest-premium way to buy silver in one-ounce units. Your order may contain all of the same type of round, or an assortment. This varies based on what we have in stock. Each round will vary in condation and may exhibit scratches, toning, spotting, and other signs of wear. Orders of multiple rounds may be of the same mint/design or may be an assortment. This varies based on our stock. Orders in multiples of 20 are shipped in tubes. As Low As 76c Over Spot!